Alief ISD will establish meaningful and effective partnerships with all stakeholders by providing a welcoming environment that allows for meaningful engagement; providing opportunities that inform and equip all Alief families and by creating viable partnerships between schools and families that ensure the success of all Alief students. Please check your campus family center for upcoming events. Thank you to all of our Alief familes, community, and staff for making our 2019 Family U Conference a dream come true! Welcome Alief families. Alief's Family and Community Engagement Program is excited to partner with you in the success of your children. We have shifted from parental involvement to FAMILY ENGAGEMENT by rolling out our FAME Initiative – Families Actively and Meaningfully Engaged. In Alief, we believe that parents are partners with teachers and staff in the education of their children and that family engagement and empowerment are essential at all levels throughout the school district. Everyone gains if school and home work together to promote high achievement by our children. We invite our Alief families and community members to climb aboard and engage in our schools as we partner together to ensure the success of all students. 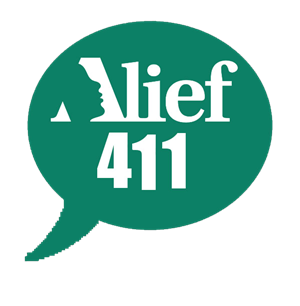 In an effort to strengthen our partnership with parents, Alief ISD is introducing a new text messaging service, Alief 411, where engaged parents can receive customized communication as it relates to their child's campus level. In order to receive these messages you must be signed up. Click the links below for further instructions on how to sign up. Please click Alief 411 Video to stay informed of your child's progress. Check out other ways to keep you connected!